1 Job's Location Karachi, Hyderabad, Interior Sindh, Lahore, Islamabad, Peshawar, Sialkot, Faisalabad, Sargodha, Quetta. 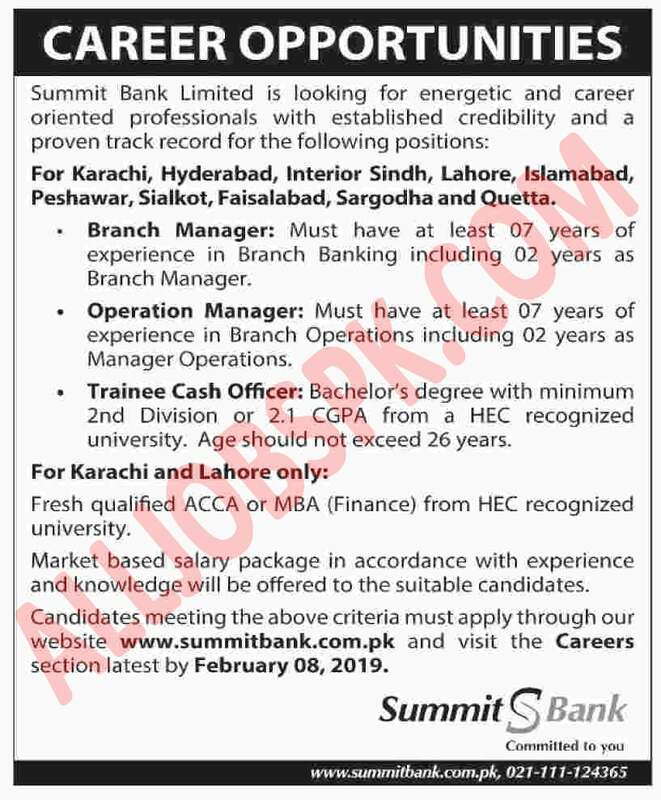 Summit Bank Jobs 2019 are such as (Branch Manager, Operation Manager, Trainee Cash Officer) and these positions are based at multiple cities such as Karachi, Hyderabad, Interior Sindh, Lahore, Islamabad, Peshawar, Sialkot, Faisalabad, Sargodha, Quetta. 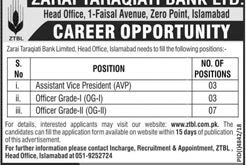 Candidates fulfilling criteria must apply through the official site of Summit Bank. The last date for submission of application is 08 February 2019.